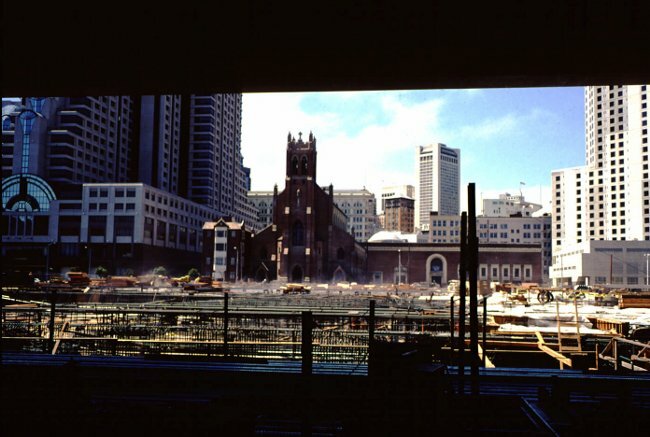 The Moscone Center between Mission and Howard Streets, circa 1995.? The Moscone Center between Mission and Howard Streets, circa 1995? The view you would now be the Yerba Buena Gardens.